Tokyo, Japan – Tsuge Pipe announced today that they will be debuting eight new pipe tobaccos at the 2014 IPCPR tradeshow in Las Vegas, NV. Tsuge will have a booth within the Drew Estate booth at the tradeshow and will have the new tobaccos available for sampling and ordering. The eight blends are broken down into two lines: “The Four Seasons” and “The God Series”. Each line will feature four different blends, available in 50g tins at an MSRP of $14.95 for “The God Series” and $12.95 for “The Four Seasons”. The eight blends are expected to hit store shelves in October of 2014. The Tsuge Pipe Tobacco lines will be available for purchase in the United States through Drew Estate. Drew Estate and Tsuge Pipe Company Ltd. announced in May a new strategic alliance between the two companies, making Drew Estate the exclusive distributor of Tsuge in the United States and Canada. For more information about the Tsuge Pipe Tobacco lines, please visit Drew Estate’s booth at the 2014 IPCPR tradeshow in Las Vegas, NV at Booth #210. Also, please use Drew Estate’s hashtag #DEipcpr on any posts relating to Drew Estate and IPCPR. TSUGE Pipe has paved the way of the Japanese pipe making with Kyoichiro who dedicated his life to pipes. 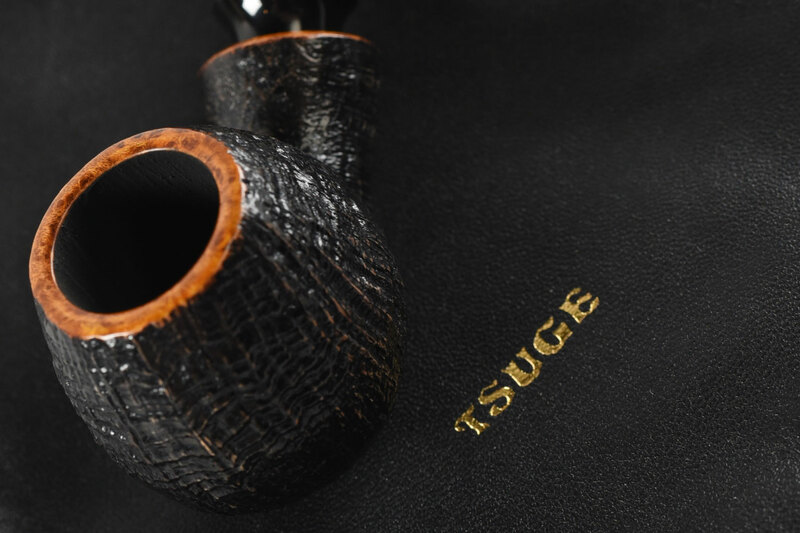 The global brand TSUGE continues to step forward as a bearer of smoking culture in the future. Pipes of the TSUGE brand are made with infinite passion and excellent techniques of the craftsmen. The unparalleled beauty and quality have attracted pipe lovers around the world.